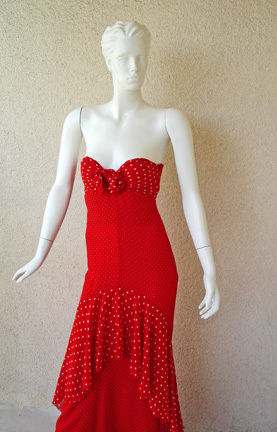 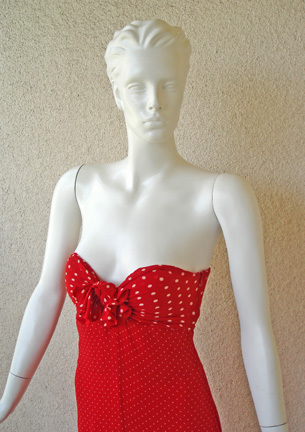 Valentino red and white polka-dot silk bias cut strapless dress from his 2002 S/S collection. 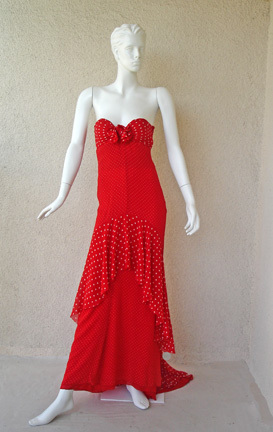 Bold and distinctive yet fun, flirty and tasteful. 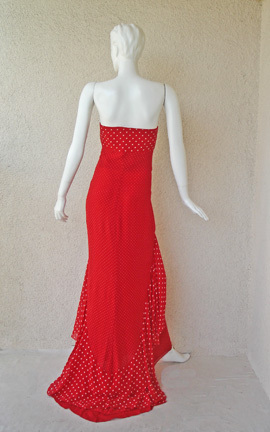 Strapless tie bodice of tiny white polka-dots on a ground of red, enhanced by large red flounces with contrasting larger white polka dots at hips and around dipped swantail train at hemline. 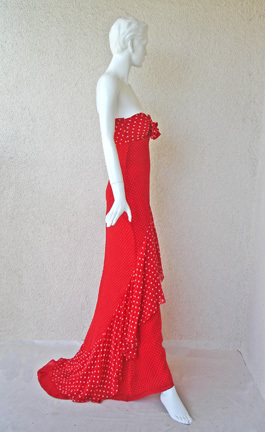 Note: Runway pic is identical to the dress offered (just lighting is different). 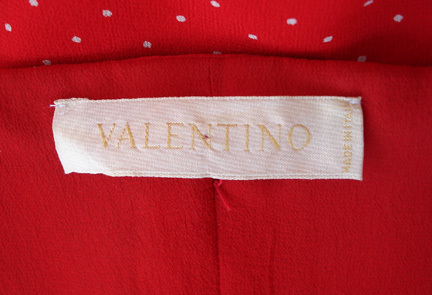 The dress is a rich red.... Valentino's signature color!